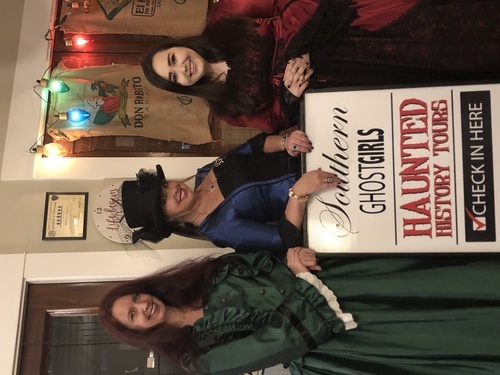 Southern Ghost Girls Tours and Paranormal Investigations, LLC invites you to join them on a Haunted History/Ghost Walk of Historic Downtown Hanceville, Alabama as they celebrate “CHAPTER 1” of their HAUNTED HANCEVILLE SPRING FESTIVAL 2019! Check in and eat dinner if you want to at Bulldogs Country Cookin Restaurant starting at 6:00 pm. Check in and eat before starting the Tour at 7:00 pm. 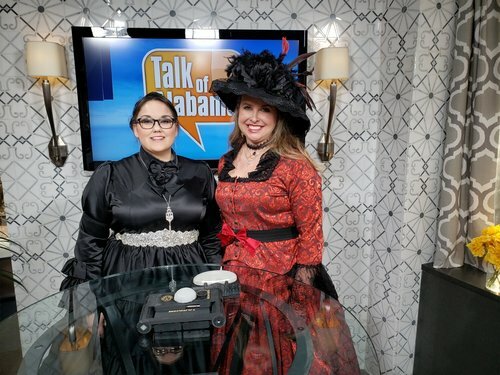 The Southern Ghost Girls Tours, as seen on TV, will lead you on the Haunt and Supply you with all the Paranormal Investigation Equipment you need! This will include a historic tour of Downtown and the Interactive Paranormal Investigations will include the historic and HAUNTED buildings that house Just Repurposed Furniture and Too You Nique Home Decor, Furniture and Furnishings! The block and buildings are known for Paranormal Activity, Especially the Building that housed the OLD FUNERAL HOME in HANCEVILLE!! Many people throughout the years have claimed to have seen A Lady in a White Dress staring out of the attic window! Explore the buildings yourself and see what you will find!! You can browse the stores merchandise while you are there too. 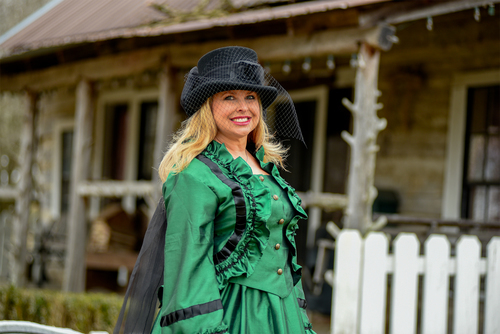 Be part of this Unique Exciting Experience that is sweeping Alabama by storm, all provided by the Southern Ghost Girls Tours!! There is not a better time to try Ghost Tours and Paranormal Investigating for yourself ! You get to USE REAL EQUIPMENT! FAQs Are there ID or minimum age requirements to enter the event? This is a family friendly event but use discretion when bringing small children. How can I contact the organizer with any questions? You May Contact Southern Ghost Girls Tours at 205-305-5098, text or call. Email southernghostgirls@gmail.com The Event will go on rain or shine but if it is raining the Walking Tour will be considered for safety reasons . The Event will be rescheduled if they are under a Tornado Warning. It is up to you if you want to participate in the walking tour. You can do just the paranormal investigations. Hanceville is located in the Bankhead & Sipsey Wilderness Region of North Alabama. Be sure to check out places to Go, Eat, Stay, and other events in Hanceville.